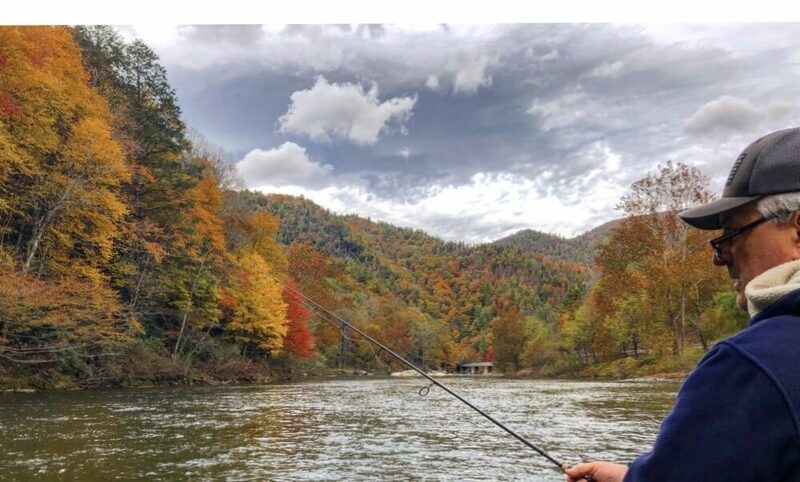 Southern Appalachian Anglers offers a variety of different rivers, streams and creeks to provide all of our clients with the best fishing trips available. The rivers and streams that we fish around Asheville offer beautiful scenery and amazing trout fishing. These rivers can be ankle deep for wading for trout or all the way to 20-30ft for deeper water fishing for smallmouth and musky. When booking a trip with SAA you will experience what all our local rivers and streams have to offer including clean water, native trees and flowers, and a variety of different river fish including rainbow trout, brook trout, brown trout and wild fish! Learn more about all of the rivers, streams and creeks that we visit and fish on a daily basis and book you trip with SAA on one of them! Our reservoirs around Asheville, North Carolina provide beautiful scenery year round and wonderful fishing. Our mountain reservoirs provide some of the most quiet and peaceful places you will ever experience. When booking a trip with SAA you will experience what all our lakes have to offer including clear water, beautiful trees and flowers, and abundant wildlife including deer, bears, bald eagles, elk and more! Learn more about all of the lakes that we visit and fish on a daily basis!